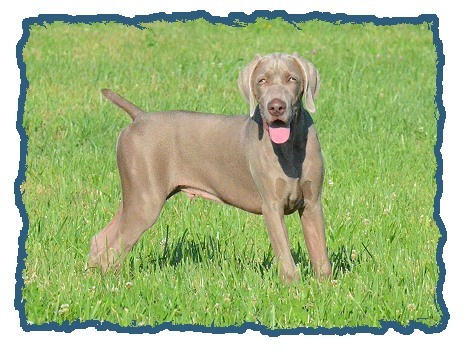 Approved by the Weimaraner Club of America Board of Directors, February 9, 2011. 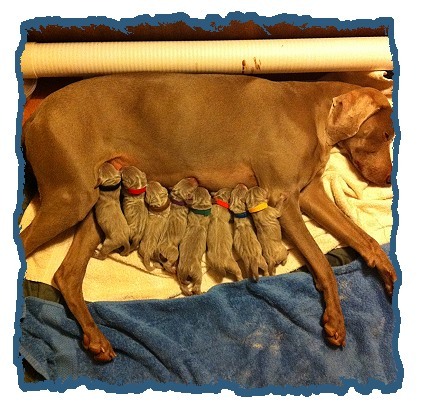 A small percentage of Weimaraner puppies manifest an autoimmune reaction following vaccination. When the immune system of susceptible individuals is challenged by the multiple antigens found in combination vaccines, it becomes hyper–reactive and responds in the same way it would respond to fight off an infection: fever, elevated white blood cells and inflammatory reaction of tissues and joints. Although many puppies can be vaccinated with no adverse reactions, there is no way at the present time to determine which puppies may react. Although controversial, some research has suggested that the distemper component of the combination vaccines may present the highest risk for immune mediated problems. Past research has documented that most vaccine reactions occur between 12 and 16 weeks of age. In an effort to reduce the incidence of serious vaccine reaction, an alternative to the traditional vaccination protocol may be considered, where the maximum level of protection is accomplished with the minimum number of vaccines. 15–16 weeks: An antibody titer is recommended to confirm immunity since a small proportion of puppies may still not be covered. Puppies showing no evidence of antibody production in the titer should be re–inoculated. The use of Corona, Leptospirosis, Bordatella and Lyme vaccines are not recommended unless these diseases are prevalent in the area; and should never be administered along with the core vaccines listed above, but rather separately, and at a time when the pups immune system is mature. Rabies vaccinations should be given as required by law, but not coincident with other vaccinations. If possible, wait until the puppy is older than 16 weeks. If a serious adverse immune response occurs, further vaccination prior to one year of age is not recommended. Options should be discussed with your veterinarian. Some states provide exemptions for Rabies in cases where an underlying medical condition is likely to result in a life threatening condition in response to vaccination. While this protocol helps in preventing reactions, it does not prevent them in all susceptible individuals. The recommendations expressed are those of the WCA and the WCA Health Committee. These recommendations are not a substitute for professional veterinary advice, diagnosis or treatment. The WCA recognizes that decisions about veterinary care are private matters which must remain within the purview of an individual dogs owner(s) and veterinarian(s). It is the responsibility and ethical mandate of all WCA members to ensure that their dogs receive appropriate and timely veterinary care.